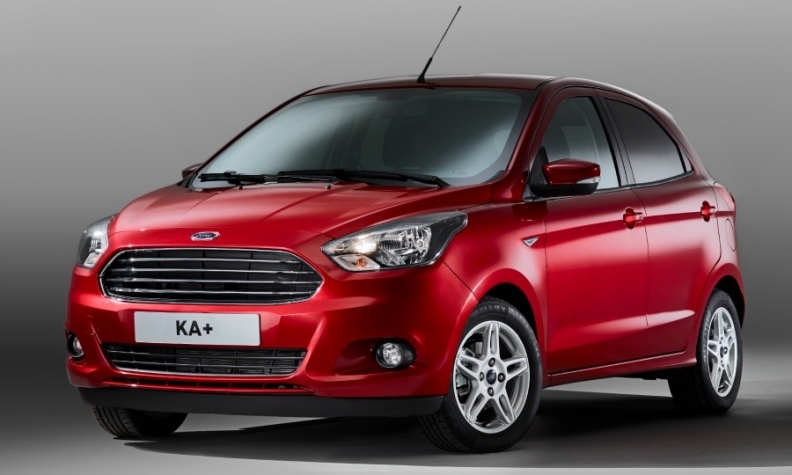 The new Ford Ka will be aimed at buyers of budget-priced subcompacts. COLOGNE -- In a radical shift, Ford Motor is repositioning itself in Europe's small car market by abandoning the minicar segment and focusing on subcompact customers with a larger Ka and a more upscale Fiesta. The change highlights Ford of Europe CEO Jim Farley's strategy of carefully picking his battles to achieve a 6 percent to 8 percent profit margin for the automaker's European business. Ford executives say car buyers now define success differently from in the past: bigger is no longer better and “thoughtful” rather than conspicuous consumption is the social norm. Previously consumers would buy products that would offer unlimited possibilities and tick all the boxes even if they did not really need them. "Today’s customer doesn’t want to pay for features that are not relevant or not often used, so they are effectively right-sizing," said Roelant de Waard, Ford of Europe's sales and marketing chief. "We see a growing group of more affluent customers who want to downsize from larger more expensive cars, but who still expect the premium experience features and technologies they are used to," he said. Ford's challenge is to reposition its B- (small) car portfolio to ensure that the brand appeals to those buyers, as well as customers, such as first-time buyers, who are looking for an affordable model. Ford will launch European sales of its new Ka in the autumn with a price starting at 9,990 euros in Germany. Called the Ka+, it will be aimed at buyers of budget-priced subcompacts such as the Dacia Sandero, where value, reliability and fuel economy play a bigger role than styling. This slice of the pie, where cars cost up to 13,000 euros, represents about 400,000 unit sales in Europe and 13 percent of B-segment volumes, according to JATO Dynamics. And more importantly it’s growing along with the high end starting at over 20,000 euros. The Ka+ is 3930mm long compared with the current Ka's 3620mm, moving it into the subcompact segment, and comes with five doors while the current model has three doors. Using the Ka to attract practical, price-conscious car owners means that Ford can upgrade the Fiesta to better appeal to buyers willing to pay more for an emotional design, improved quality, better equipment and a sporty ride in a small package. Ford will eliminate the Fiesta's base “Ambiente” trimline when the eighth-generation debuts early next year and will offer more uniquely distinct versions such as the Ford Fiesta ST 200, the most powerful production version of the car yet built. The Fiesta was Europe's top-selling subcompact in the first three months with sales of 83,899, down 4.6 percent, according to JATO Dynamics market researchers. While the Fiesta is a success, Ford has made some missteps in the small car market with its Ka, B-Max and EcoSport models. The current Ka is based on the Fiat 500 but its sales have never come near its platform sibling whose retro styling harking back to the iconic 1950s-era 500 proved popular. The Ka did not live up to Ford Europe’s brand claim to offer cars with superior handling. Ford sold 10,408 Kas in the first quarter, down 28 percent. With sales of 53,012, up 5.4 percent, the Fiat 500 was Europe's second best-selling minicar after the Panda. “It’s partly our fault. Fiat really turned the 500 into its own brand and we could have done more with the Ka too. But when so much focus is on returning to profitability, investing more time and effort into a segment that on good days barely makes money is just not a priority,” said a source at the company. The B-Max subcompact has struggled as buyers have switched from minivans to SUV/crossovers, causing problems for the automaker's underused Romania factory that builds it. The EcoSport subcompact SUV, produced in India, failed to offer the content, comfort or handling Europeans expect from Ford's European-built cars. Ford was forced to make rapid changes to address poor sales, ditching its a rear-mounted spare tire and improving the interior. EcoSport sales recovered and were 14,679, up 50 percent through March. Ford says it learned its lesson with the EcoSport and will no longer sell a vehicle tailored for emerging markets to its more discriminating European customers. "Just because a car is small, doesn’t mean it can look cheap," said an executive who did not want to be named. The Ka+ will be imported into Europe from India like the EcoSport but Ford has said it has made "significant" enhancements to adapt the model for European markets, such as a chassis tuned for European tastes and a higher level of quality in the assembly of the sheet metal. Ford will restyle the B-Max with SUV/crossover styling, according to sources. The model will become more of a “softroader” a front-wheel-drive crossover for urban lifestyles, positioned between the EcoSport and Kuga. JATO Dynamics research director Ben Butlin said automakers should broaden their offerings in the subcompact segment, which makes up a third of the European market, in part because it is fragmenting so heavily. “The more differentiated or premium the vehicle, the lower the average discount,” he said.